The Ponderosa Millwork Software is end-to-end Millwork Manufacturing and Distribution Software, developed in conjunction with an advisory group of millwork clients, and continually enhanced over more than forty years with state‐of-the‐art technology and industry best practices. 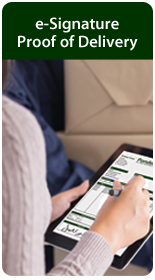 Ponderosa consolidates critical information – from all areas of the business – to provide the industry’s most comprehensive computer information solution for millwork jobbers and door and window manufacturers. Whether you’re a one-step millwork business that sells primarily to builders and contractors or a two-step distributor servicing mostly dealers and retailers, the Ponderosa Millwork Software is loaded with features that give you better control and help you reduce operating costs across your entire business. And our service and support is tops! 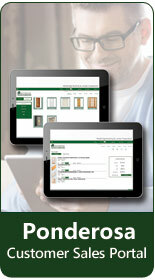 Check out Ponderosa Millwork Software features. Ponderosa is used by some of the leading millwork manufacturers and distributors in the industry to eliminate production errors, reduce the need to overstock components to cover production, and cut inventory investment by 5%. Our industry-best Product Configurator and Scheduler tools let your salespeople and customers configure millwork products and place orders 24/7—even while the customer is on the phone. The software helps improve efficiency from the sales counter to the shop, protects and maximizes profit margins on everything you make, and eliminates costly returns and rebuilds. 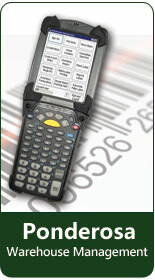 Production Order Processing tools simplify production forecasting, consolidate orders to optimize line efficiency, schedule pre-production items, implement bar code tracking for Standard vs. Actual cost comparisons, and track the time for each task, substitutions made during production, and the handling of waste materials. Web-based Customer Sales Portal fast tracks sales by letting customers design products, submit quotes and place orders on the web 24/7. The Portal’s Configure, Price and Quote (CPQ) user interface presents customers with selection options for door systems, window units and other customized millwork products as high-resolution images to eliminate ordering errors. Installed Sales & Service Module tracks installation contracts for on-time, on-budget projects and maximum customer satisfaction. Fully integrated Warehouse Management System maximizes efficiency and accuracy in warehousing and yard operations and reduces inventory costs. Mobile Fleet Manager improves delivery and dispatching and reduces costs with real-time truck routing and optimization, GPS tracking for always-accurate ETAs, E-signature and image capture for Proof of Delivery, Driver Vehicle Inspection Reporting (DVIR) and more. Built-in Document Management System reduces dependency on paper by managing records electronically, improving communication between branches, securing your company’s data and elevating customer service.